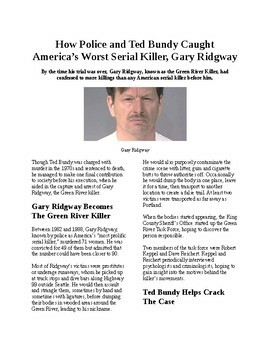 This is an informational reading article about how police were able to catch America's worst serial killer - The Green River Killer, Gary Ridgeway - with the help of another serial killer, Ted Bundy. 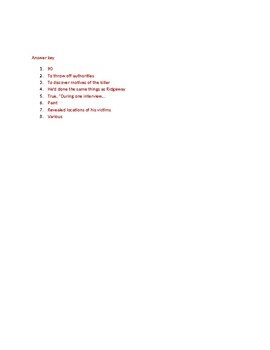 A great discussion starter, research article, or homework activity. 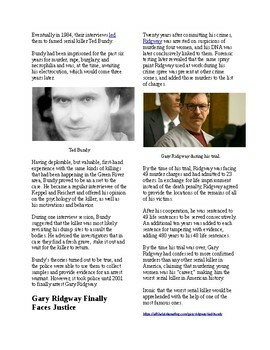 Please be aware that the subject matter in this article is disturbing, and is not for younger students. Please read, and if necessary edit the article, before distributing it to your kids. The information is from allthatsinteresting.com, the questions are mine. 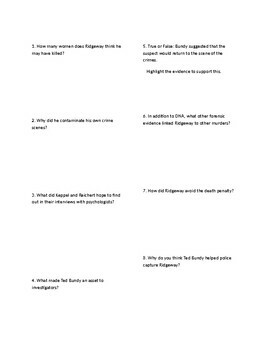 A great supplement, fill in, or discussion starter! MS Word doc for easy editing.